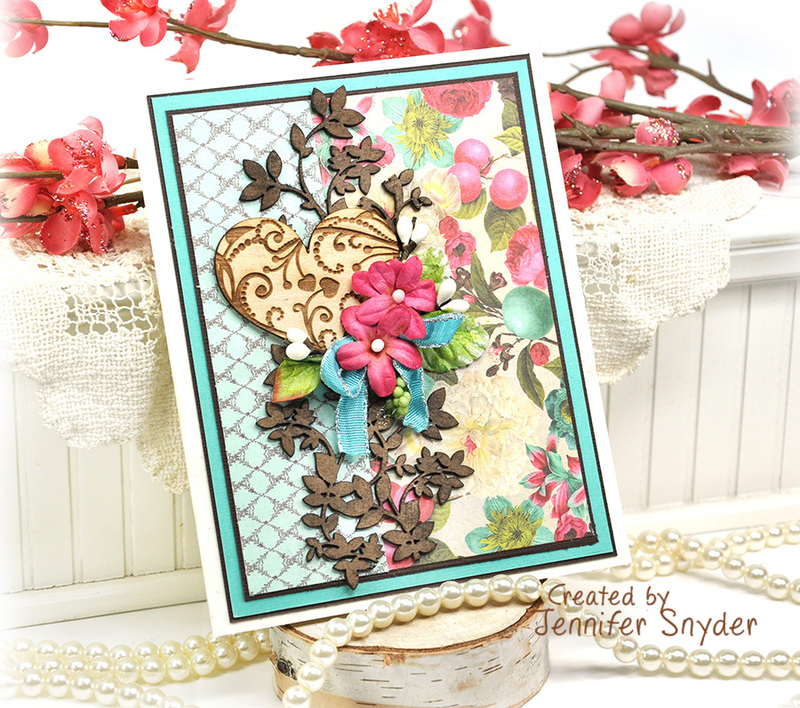 I'm here to brighten these dull, cold winter days with some colorful chipboard cards. Winter is rough on many people and can drag on way too long. If you had a quick way to cheer someone up, I bet you'd jump at the chance. 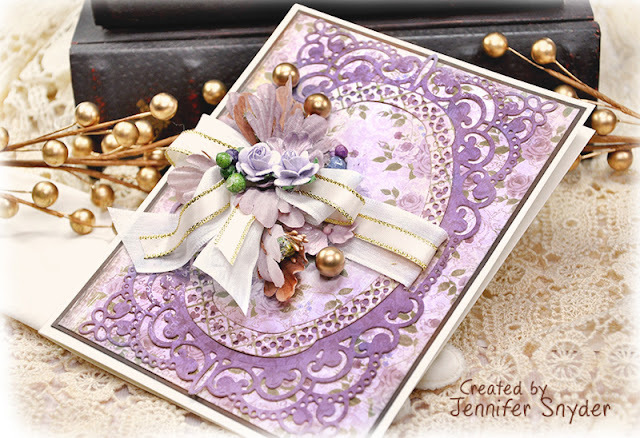 A card made with love (and some fabulous Creative Embellishments chipboard) can go a long way towards brightening up someone's day. I created three cards to be used for that purpose. 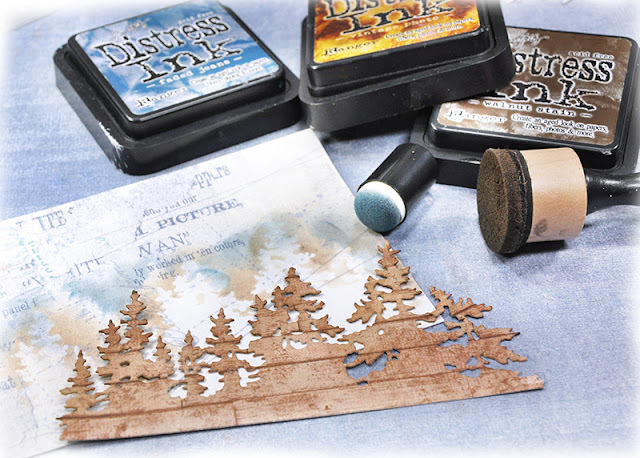 My chipboard treatments are super easy - ink and paint. I inked the Fancy Oval Frame Set with Ranger Tim Holtz Distress Ink -Walnut Stain. Done! Next, I painted the Flourishes 10 piece with bright lime green and pink paint to accent the papers I used. 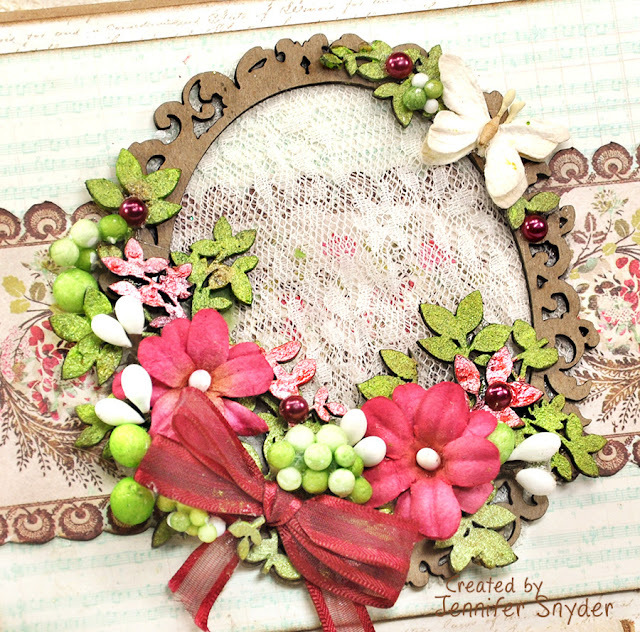 I cut the chipboard into pieces and used as filler around the Fancy Oval Frame and in the floral cluster. Here is my second happy cheery card. 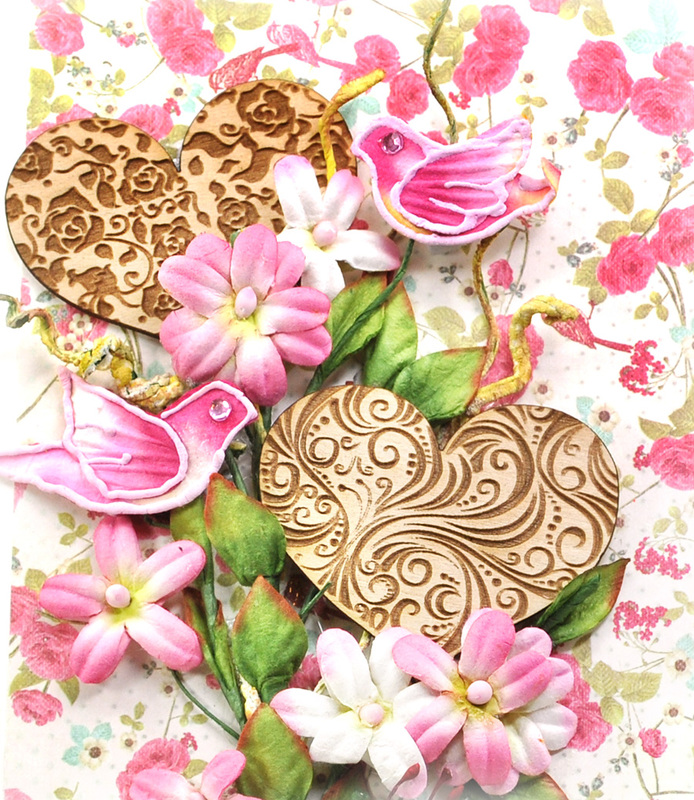 I embellished with some fabulous wood veneer hearts, pieces:Lovers Heart Set intertwined within the floral vines. 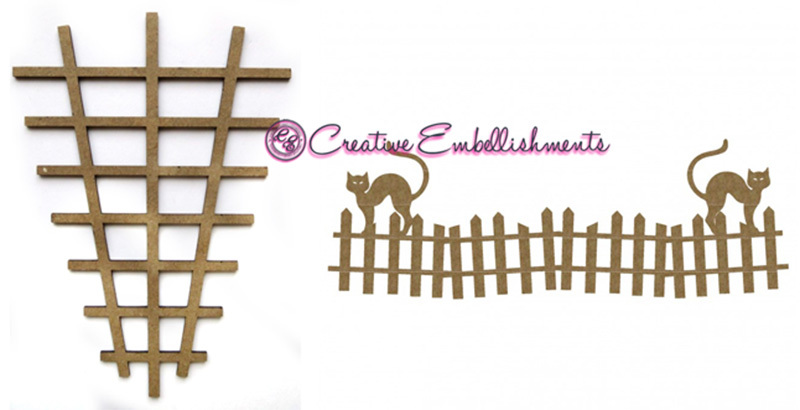 I believe the wood veneer shapes from Creative Embellishments are enchanting and perhaps the company's best kept secret. Time to let everyone in on the secret I think. The last card has a combo of chipboard and wood veneer hearts. Once again, I used the Flourishes 10 vines simply inked with Distress ink. I left the wood veneer Lovers Heart Set hearts untreated. They are gorgeous "as is" and are super light so they don't make the card heavy for mailing. 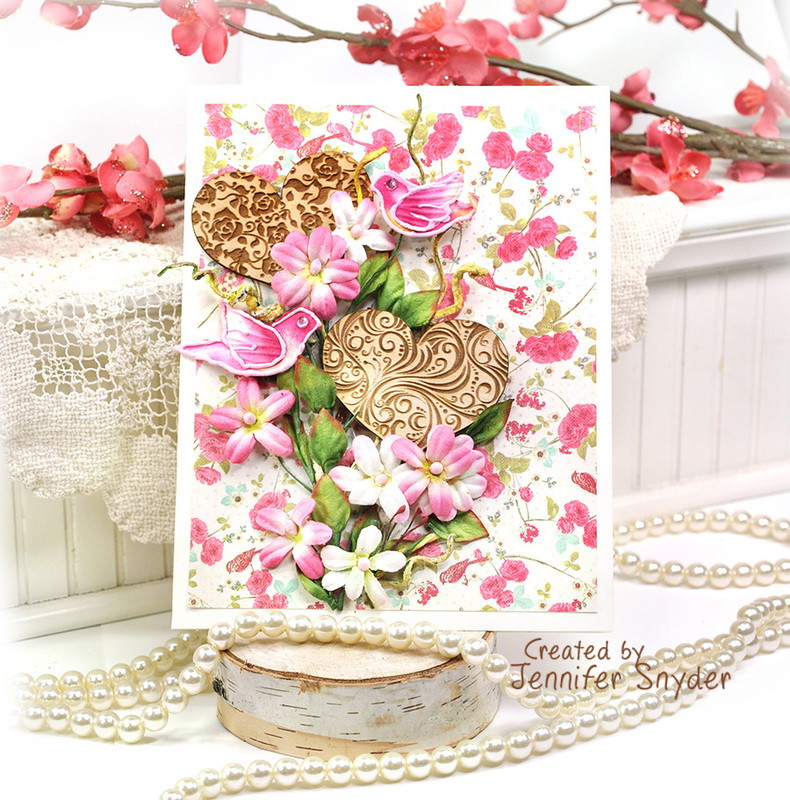 The ultra light wooden veneer hearts make such a statement on the cards. I also have to mention the paper I used....it's my ever-favorite from Prima Marketing. The Madeline collection from a bunch of years ago. Yessssssss I still have some and sadly not much is left. Hey - I know you all have stashes and hoards of papers tucked away too. Yeah, I'm looking at you...crack it out and use it. 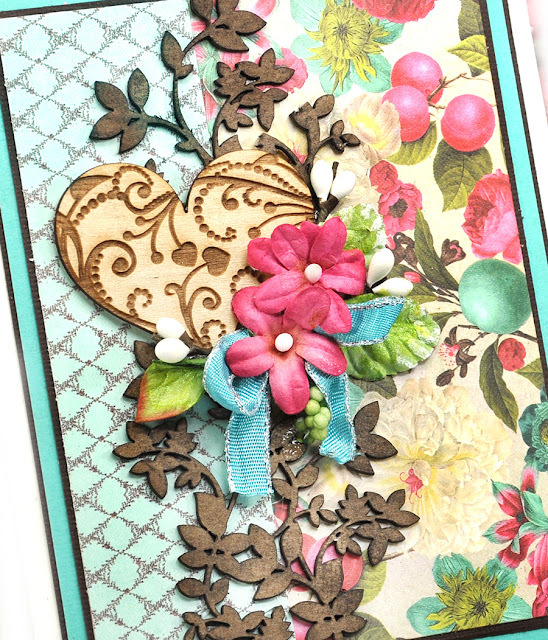 Shop for your gorgeous Creative Embellishments chipboard here. Paper - Prima Marketing Madeline collection 6x6 paper pack. Being a member of the Spellblogger Team for Spellbinders, I have the very fun honor of showcasing some of the gorgeous new dies from Spellbinders. 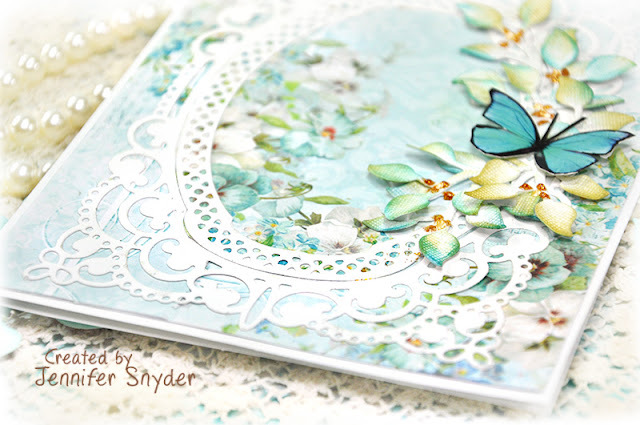 This month, I have been asked to feature the Amazing Paper Grace - Chantilly Paper Lace collection designed by Becca Feeken . 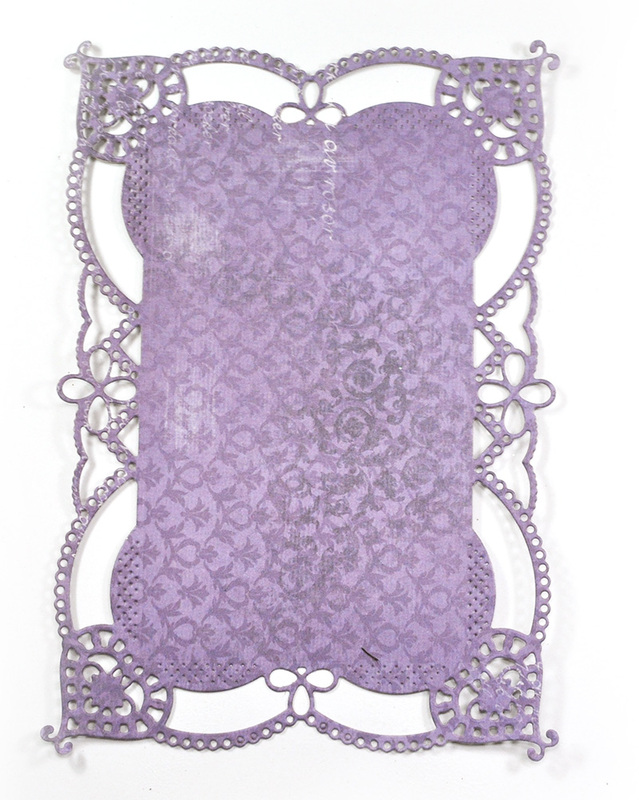 I chose Annabelle's Trousseau Layering Frame. Here's a look at the beautiful die set. 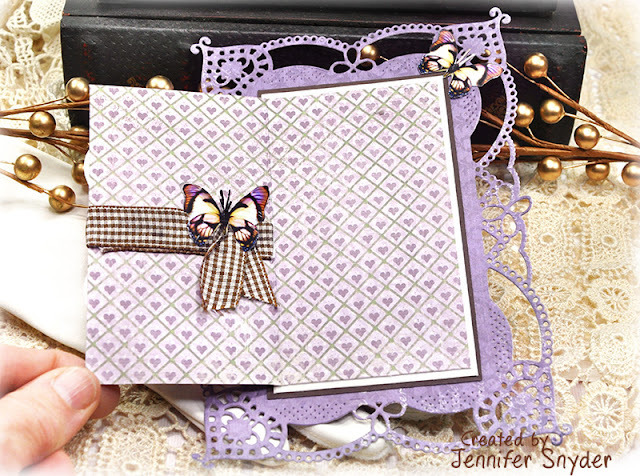 Spellbinders Shapeabilities Annabelle's Trousseau Layering FrameMedium Etched Dies Chantilly Paper Lace Collection by Becca Feeken . 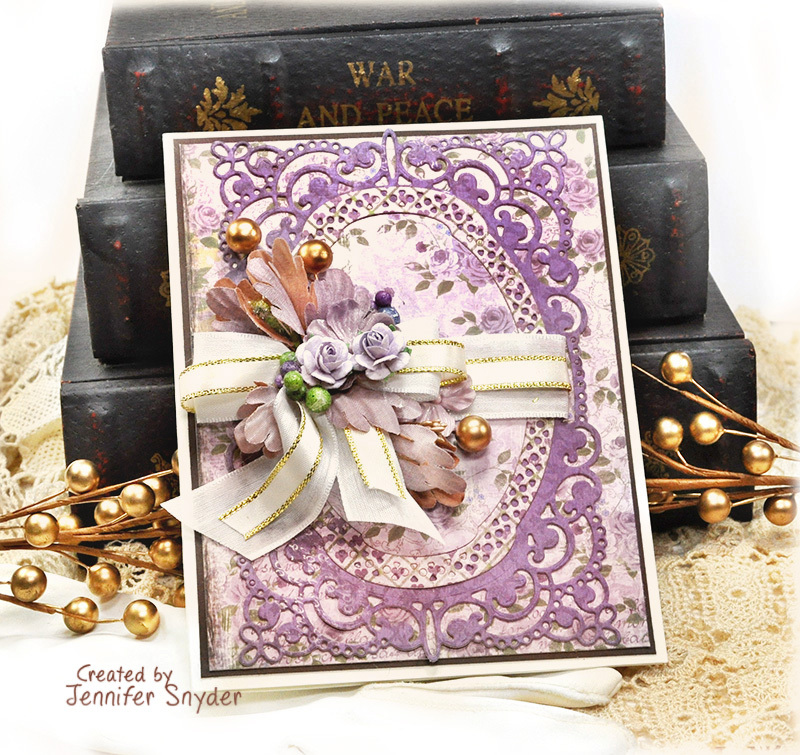 Spellbinders Layered Leaf Vines - Timeless Heart Collection by Marisa Job. 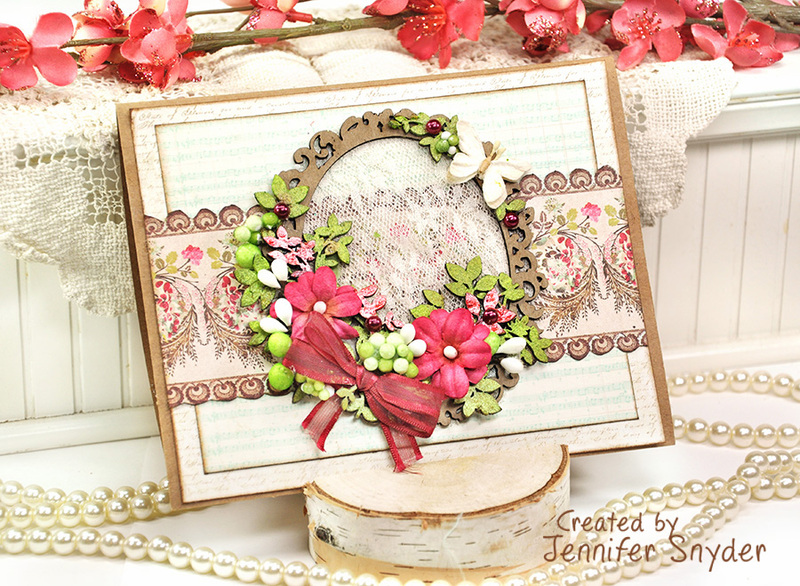 These are sweet versatile vine dies that can be tucked into any floral cluster. I wanted to pull out the orange color from the flowers on the patterned paper from Lemoncraft, so I accented the vines using Crystal Drops from Nuvo. Thank you for stopping here and thank you to Spellbinders for inviting me to be part of the Spellblogger Team. Such a wonderful opportunity to share the best dies in the world. 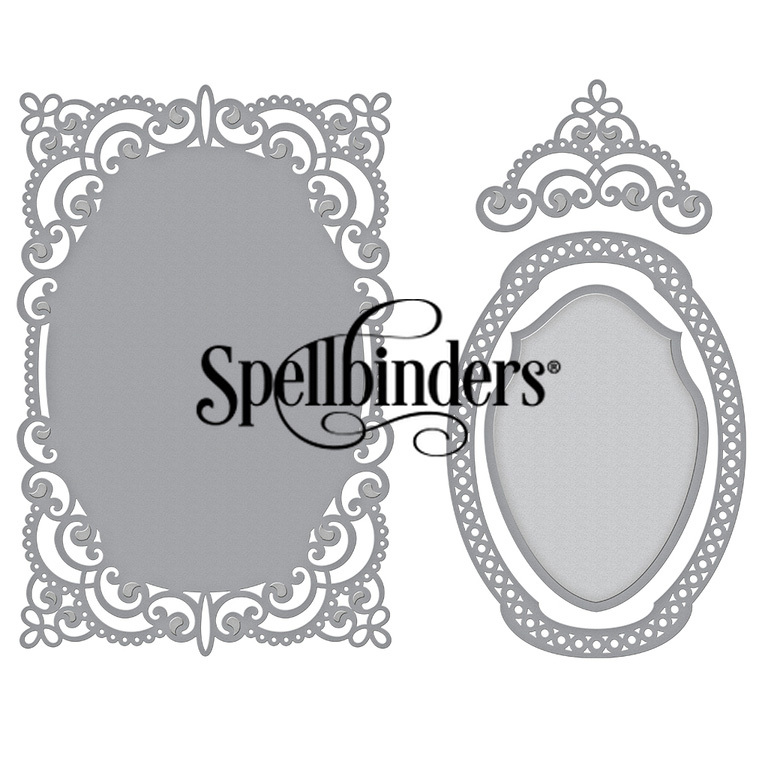 You can shop for all your Spellbinders dies right here . 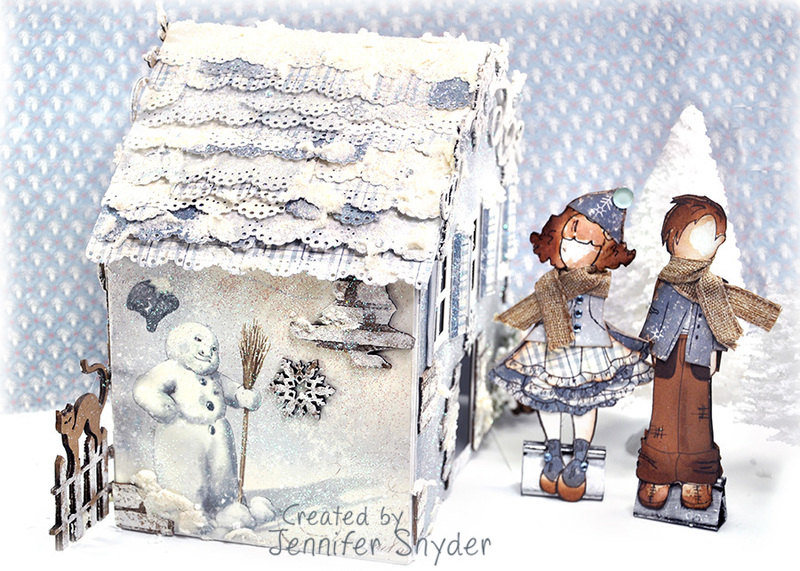 You can click here for the Amazing Paper Grace Collection. 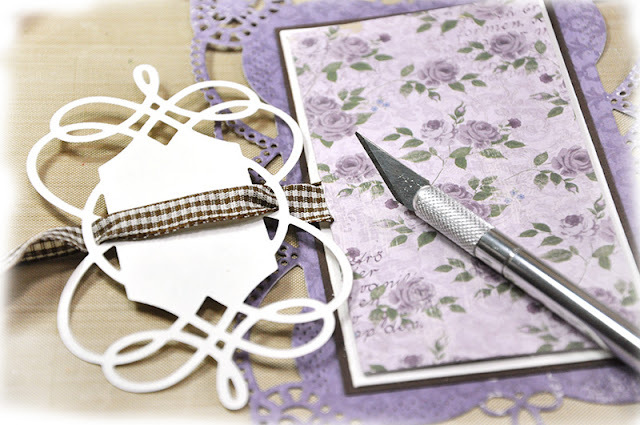 What supplies do you pick when you need to make something with grace and elegance. The answer is super easy. 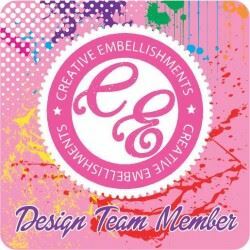 That's when I seek out my Maja Design papers and Spellbinders dies - the "Dream Team"! 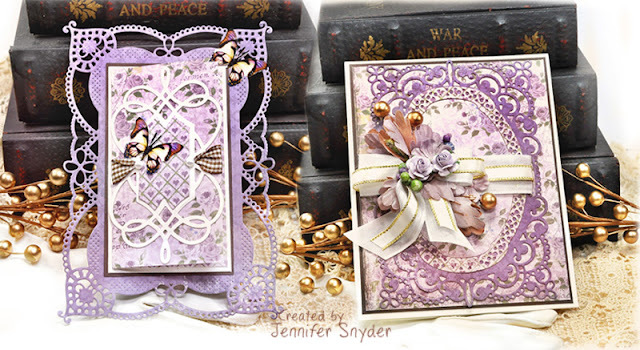 My "Dream Team" today features new products from both companies - a new paper collection and a new die added to Spellbinders Chantilly Paper Lace Collection designed by Becca Feeken. 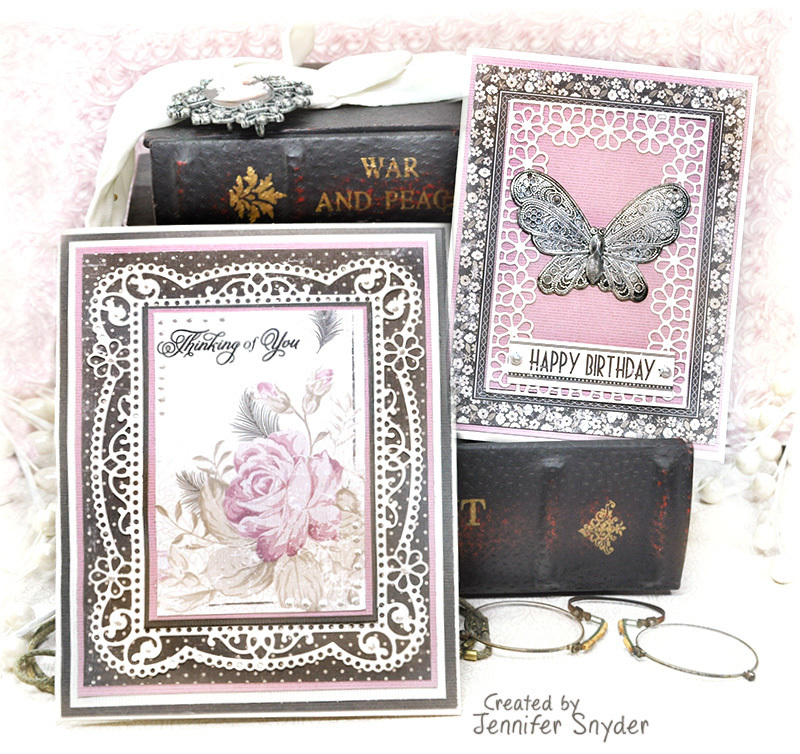 These cards feature the gorgeous new Maja Design Celebrations paper collection created to celebrate 10 years in business and they are decorated with the frilly fabulous die Tallulah Frill Layering Frame - Chantilly Paper Lace Collection. First a bit about the die. This is a new addition to the Amazing Paper Grace collection at Spellbinders. 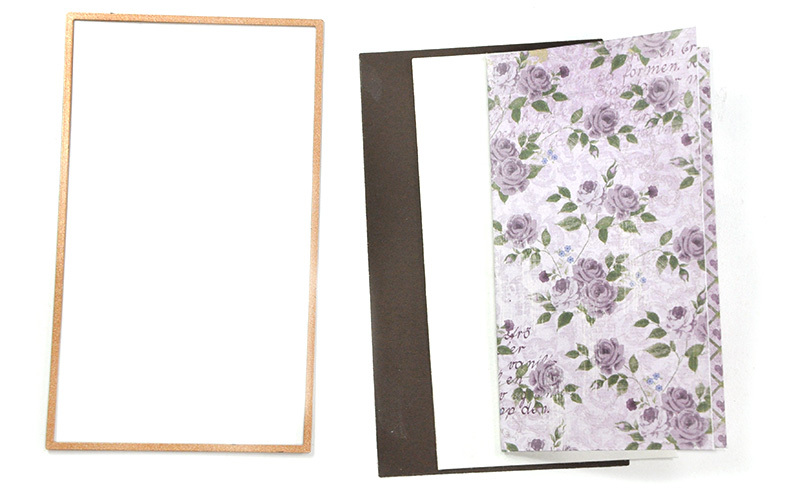 The Tallulah Frill Layering Frame is wonderful because of its multiple uses as a layered die or as separates. I'm using the set as separates today. Next - a bit about the lovely paper. 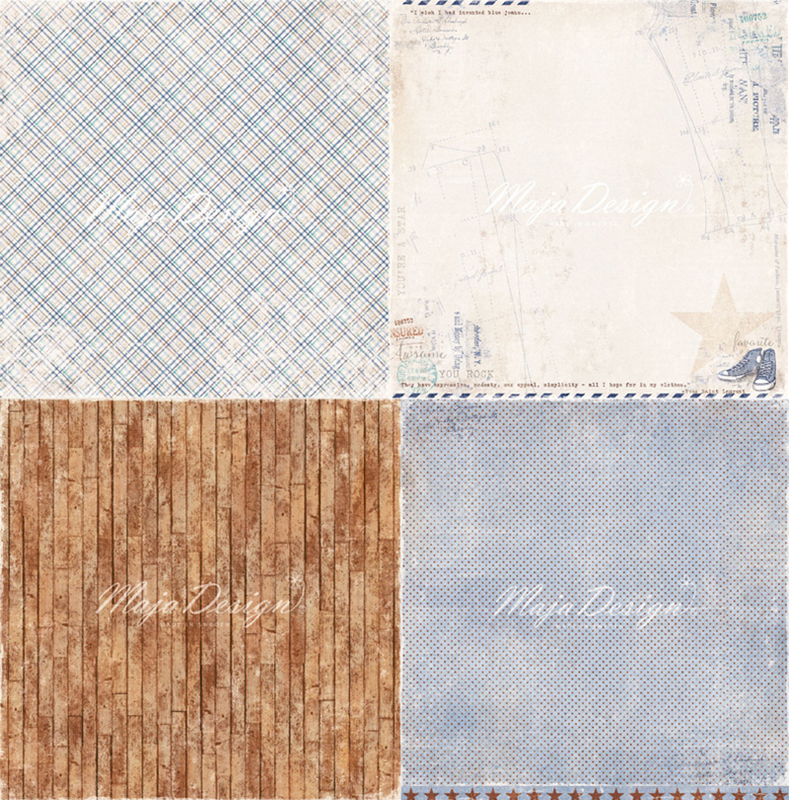 The new collection, Celebrations, from Maja Design also has a solid collection called, Monochromes -Shades of Celebration. The Shades of Celebration are solids that perfectly match the colors of the Celebrations collection. 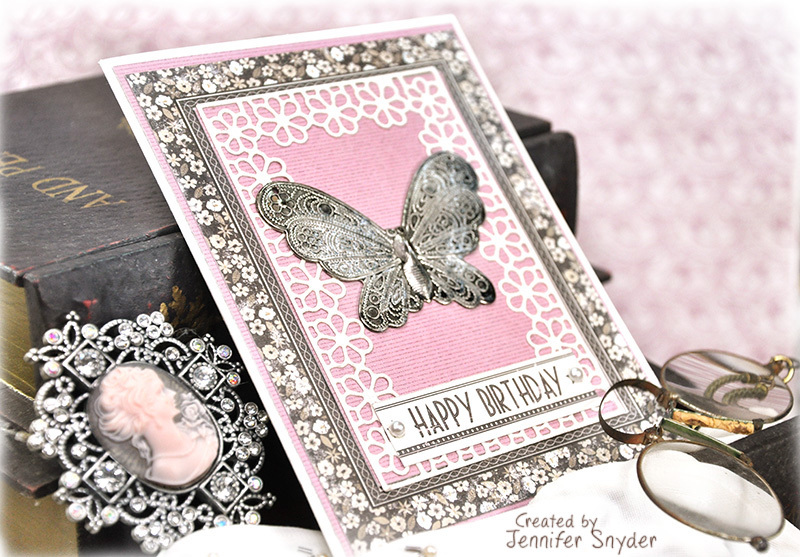 My first card was inspired by the pink cameo brooch in the picture. 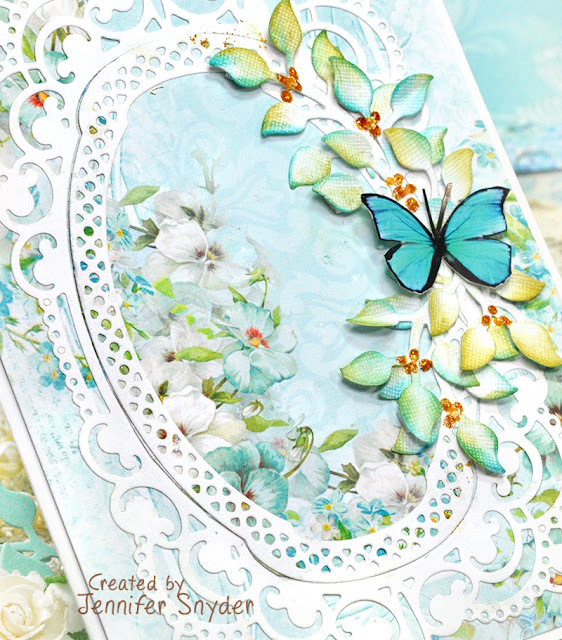 The butterfly is a thin mixed media, metal piece I had from my stash. 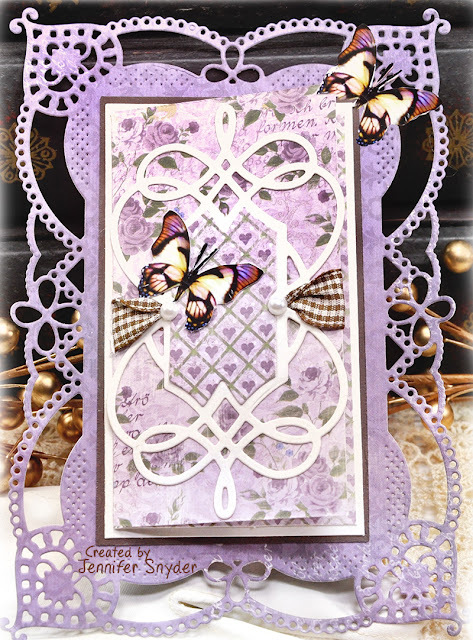 Here is the second card using Celebrations paper collection and the large frame die from the set. 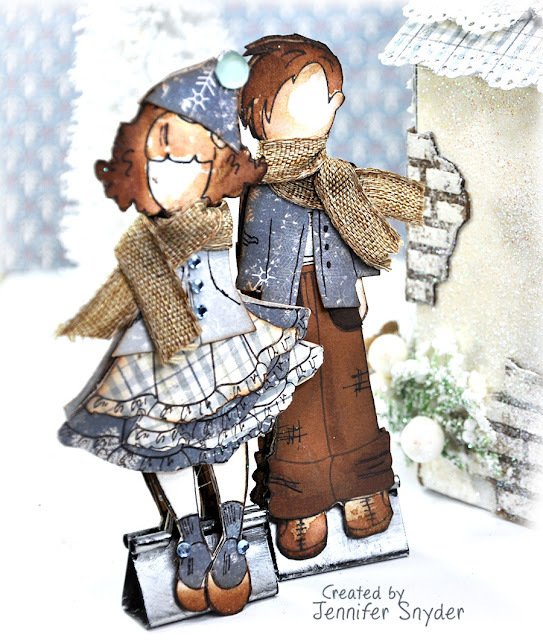 My sentiment is from Justrite Papercraft stamps . 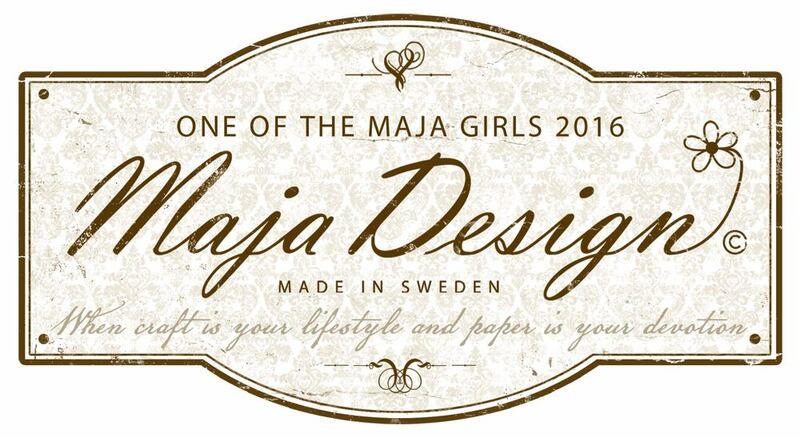 You can shop for Maja Design papers right here. 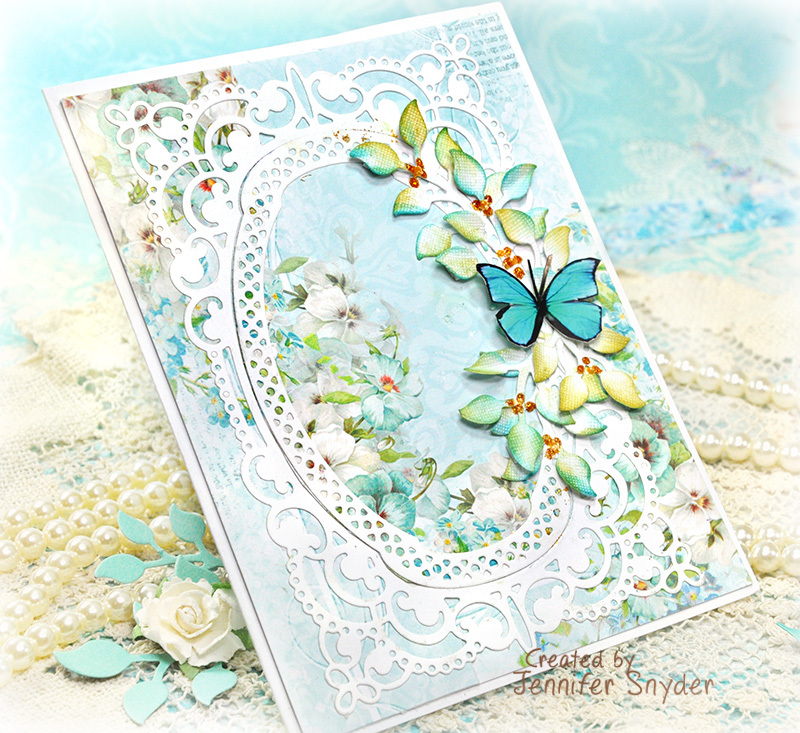 Shop Spellbinders collection of Amazing Paper Grace right here. You can find all your favorite Spellbinders dies and products right here. Maja Design -Celebrations paper : Welcome, Birthday, Glamour, Would You Care to Dance? Purple is an emotional color for me. 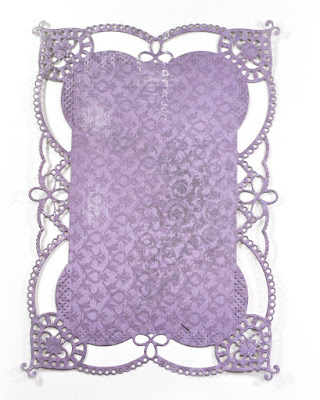 Purple was my grandmother's favorite color and it reminds me of her. It's a royal, regal, warm color and conjures feelings of grace and nostalgia in my mind. It's a color that makes me smile. 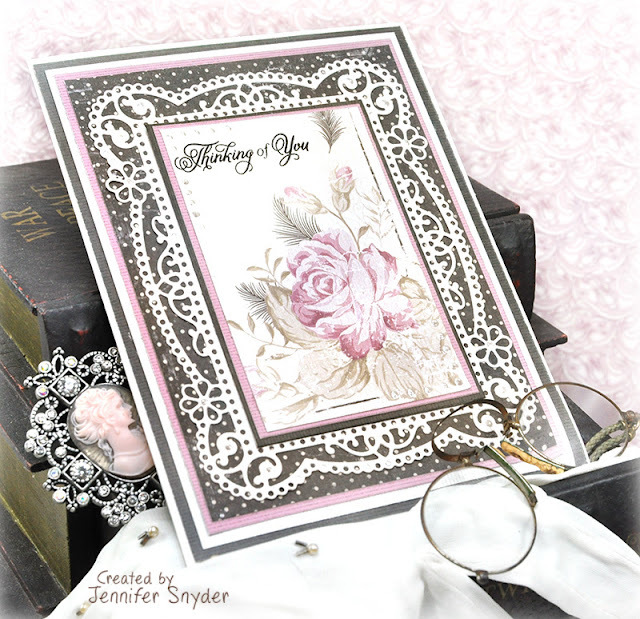 the Chantilly Lace Collection created by Becca Feeken. 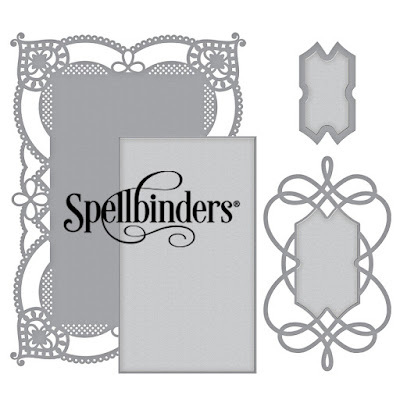 I am so thrilled to be one of Spellbinders Spellbloggers for 2018 providing me an opportunity to work with these divine and amazing products. 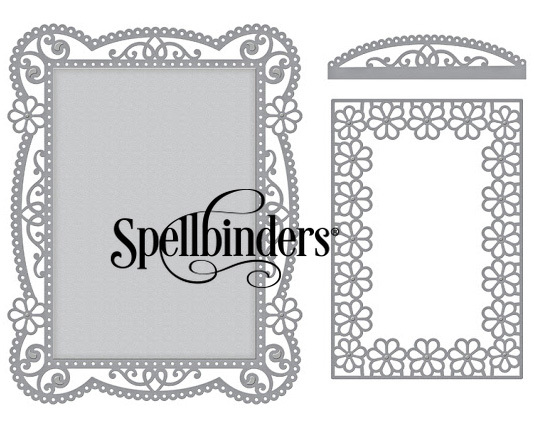 Thanks Spellbinders!!! This is my first card, created using Spellbinders Amazing Paper Grace Collection designed by Becca Feeken for Spellbinders as part of the Chantilly Lace collection. 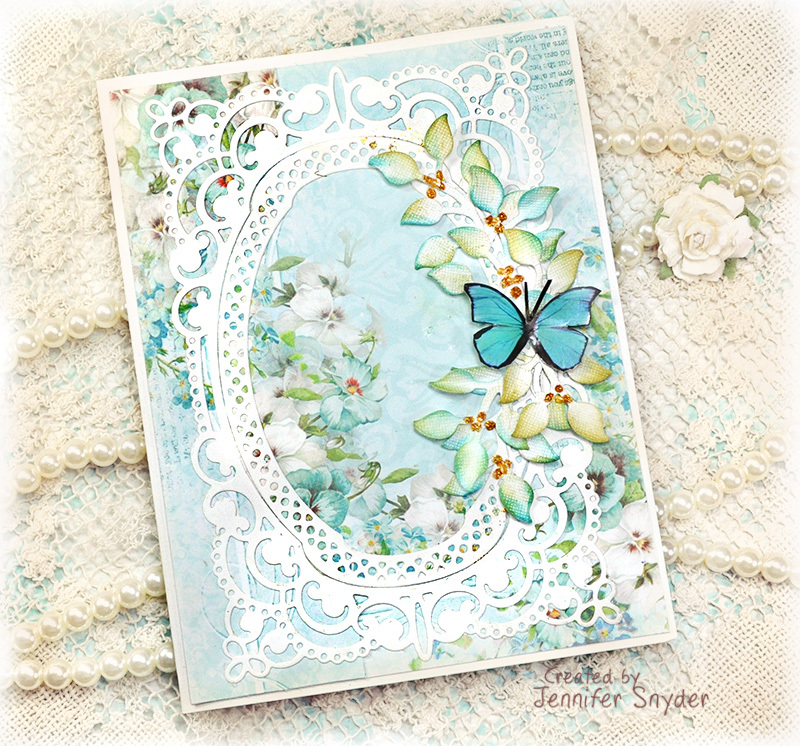 Spellbinders Coralene's Chemise Layering Frame- Chantilly Lace Collection by Becca Feeken. Don't let that distract you from the true beauty. When I hear super long names, I think royalty. Those names go on and on...well this is similar. Pure papercrafting royalty as you can see below. 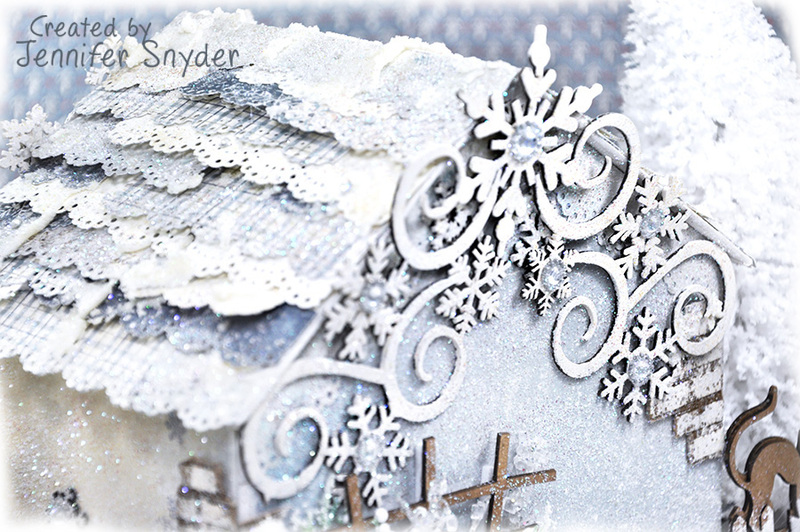 Here is my card close up. 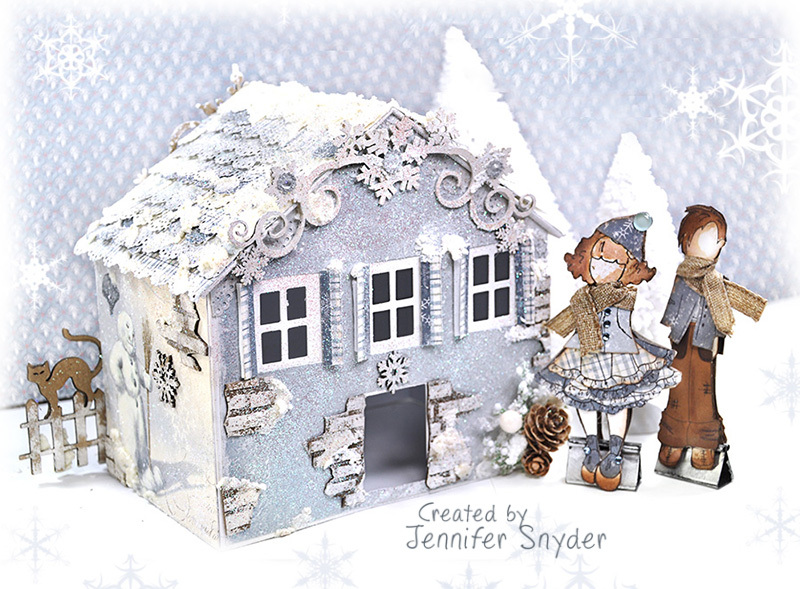 If you scroll on down through the post, I have a step by step showing how this was made. 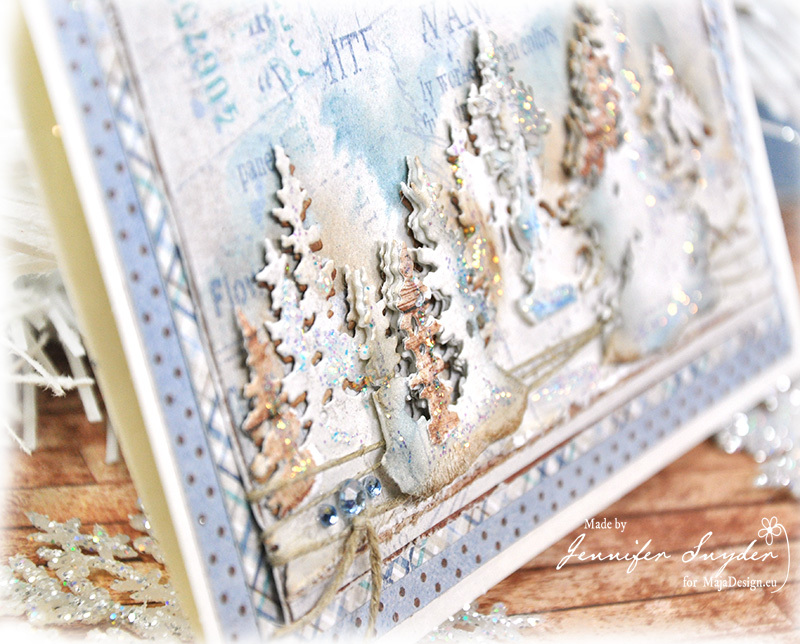 My paper choice for these cards is Maja Design - Fika collection. 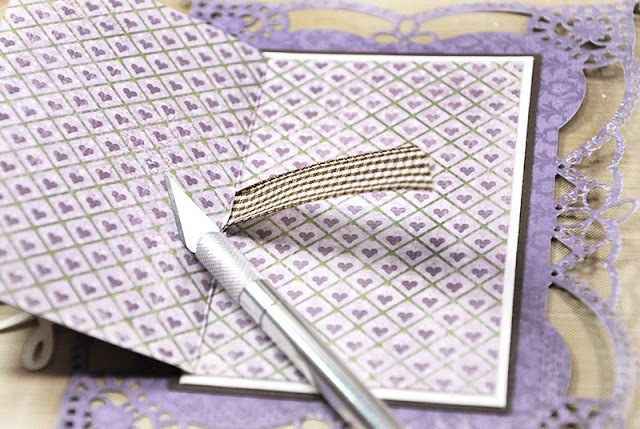 This line has a full rich assortment of purples and chocolates that will make a purple paper lover drool. Step 1. Cut one die to be used as the background for the card. Set aside. Simple - no fancy techniques here. Let the gorgeous die do the work. Step 2. 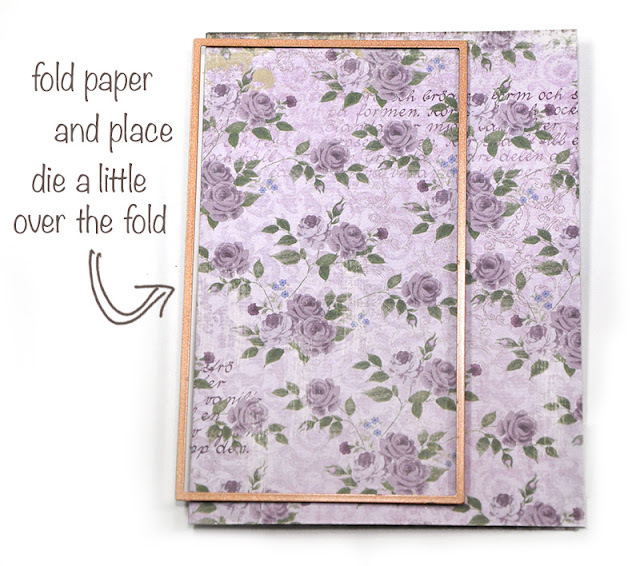 Fold a piece of patterned paper so that it will fit the rectangle die included in the Chemise Layering Frame die set (approx. 2.80 x 4.85 in). Place the die on the paper fold so that it overhangs a tiny bit. 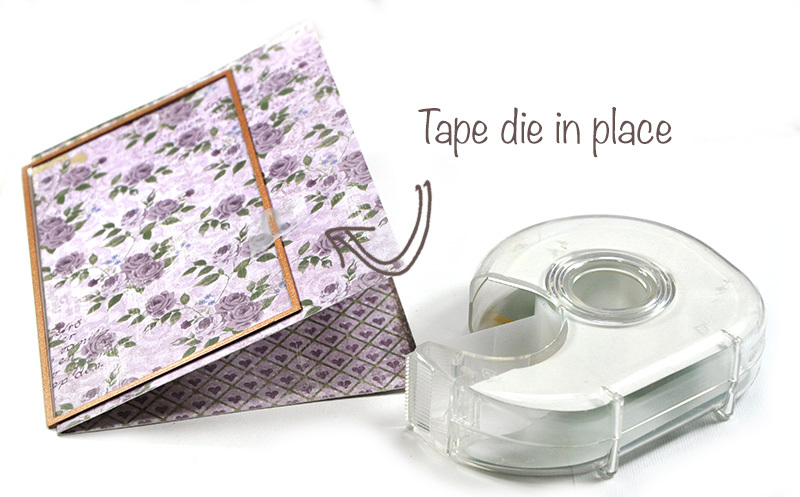 This will give you a rectangle that is cut to the size you need, and one that still has a fold. Step 3. I find it easier to cut this folded piece when the die is taped in place. Note: use tape that will come off without ripping the paper. Step 4. Time to start layering. 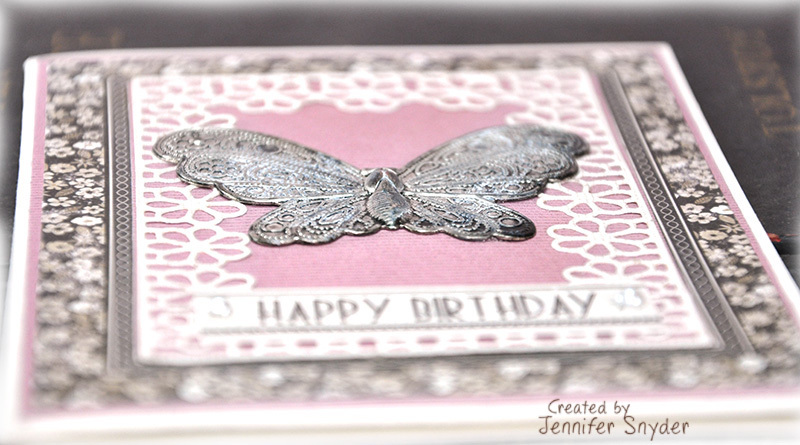 Select your layers and cut using the rectangle die. In my opinion it is easier to start with the same size and trim to size. This way you know the base layer (the brown piece) will fit (nest inside) perfectly on top of the decorative frame die. Step 5. I added gingham ribbon to my card by lacing it through the medallion die piece. I cut a slit in the card using a craft knife and pulled the ribbon through the card. This gussies up the inside of the card with a cute surprise when opened. See how beautiful the inside of the card is? What a fun detail. 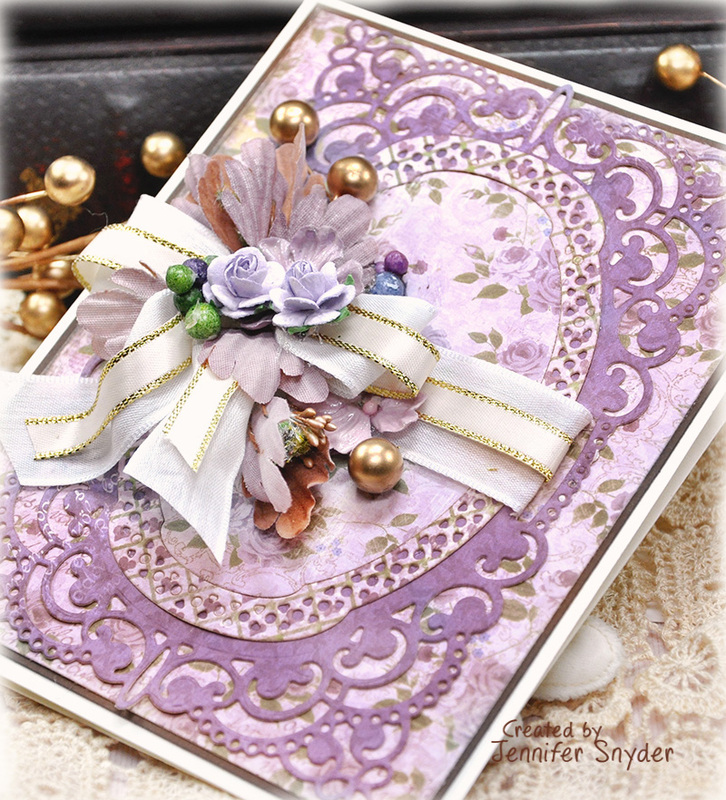 This is the second card made while in my purple mood. 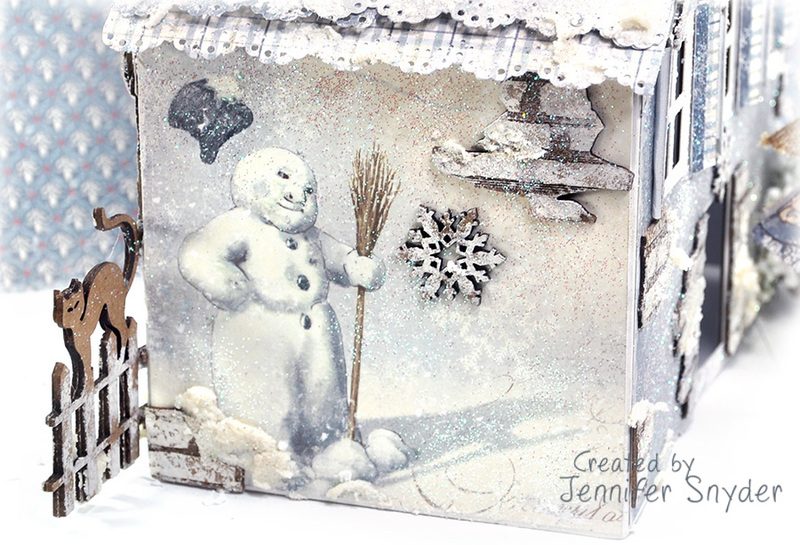 I grabbed a different die, also from Spellbinders Amazing Paper Grace Collection designed by Becca Feeken . 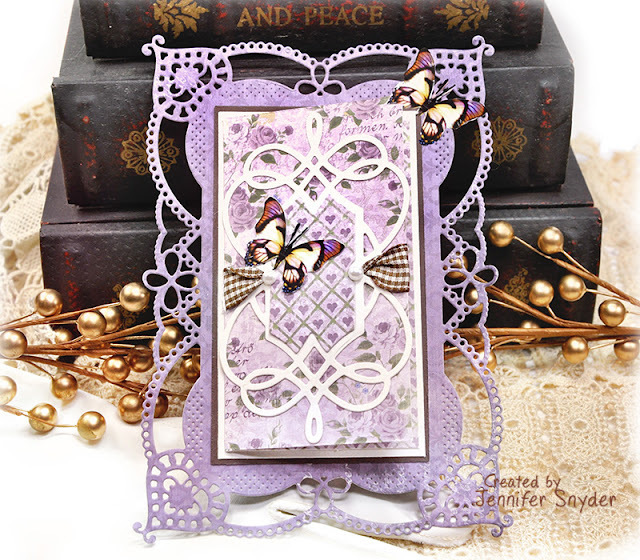 This Chantilly Lace die also has a long name but we've already discussed the reason for the long name...royalty has long names. Once again made using Maja Design - Fika collection. The coldest days of winter are upon us. These cold, dreary days are tough on many people. If you are a card maker, you have the ability to reach out and brighten someone's day. 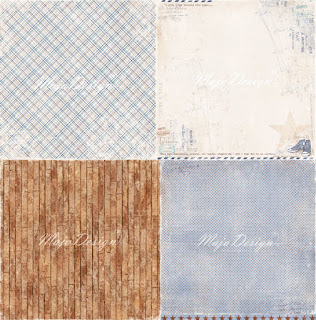 Maja Design- "Denim & Friends" is a gorgeous collection that is perfect for the season. Don't let the name of the collection confuse or fool you. 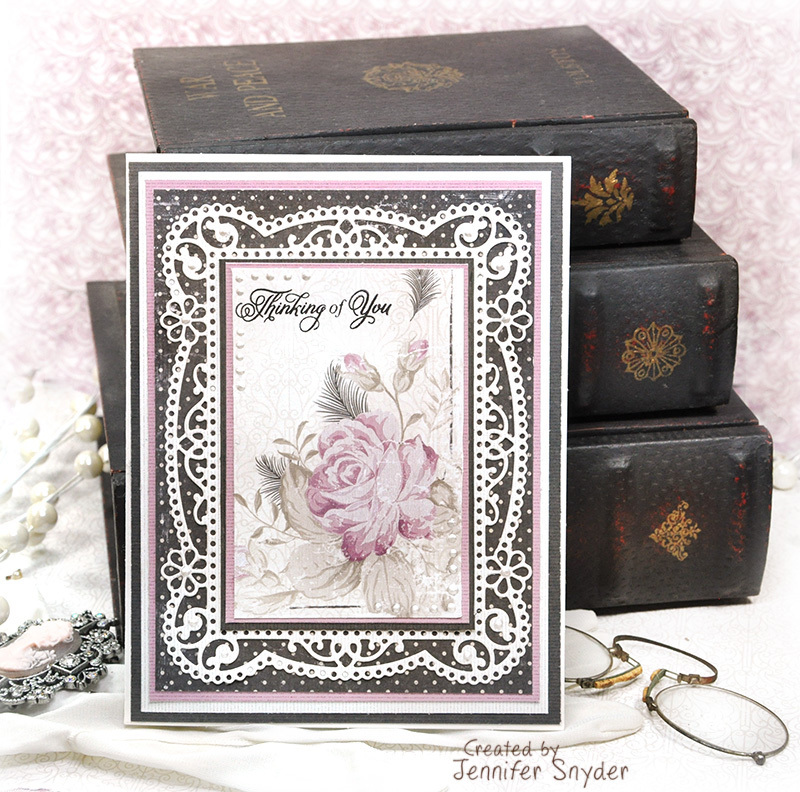 The paper collection is quite versatile and can be used for so many occasions throughout the year. 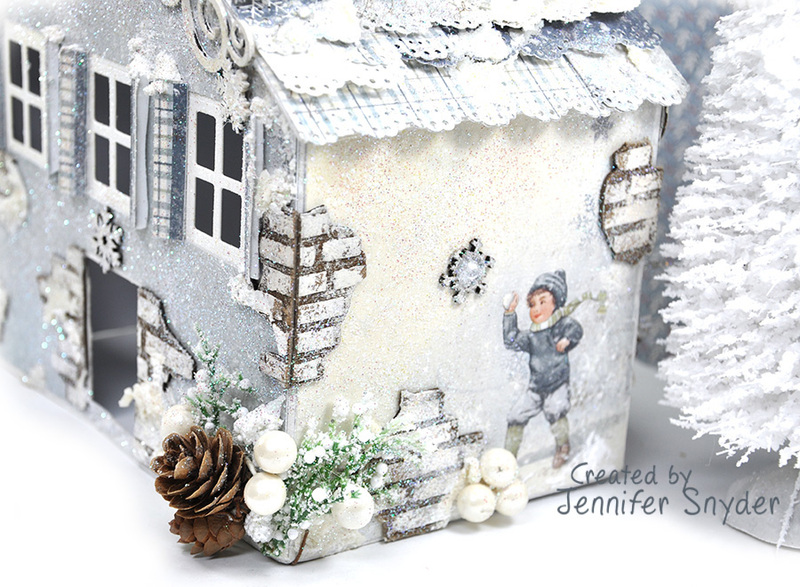 I have a quick short DIY tutorial showing how I assembled the winter scene on my card. Step 3. 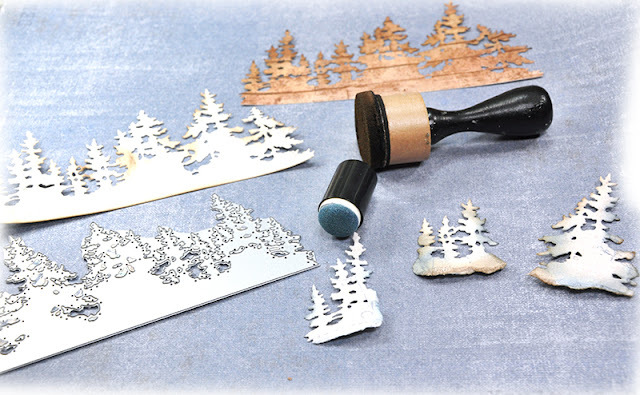 Cut one of the tree line die shapes apart to separate some of the tree shapes for layering purposes. 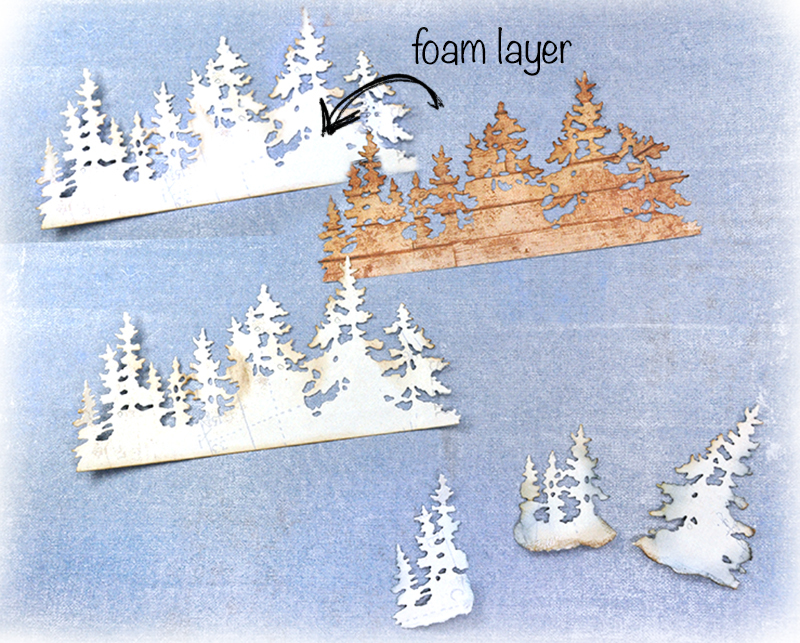 Ink the edges of the individual trees to a accent and glue the diecut foam shapes to your individual trees. Step 4. 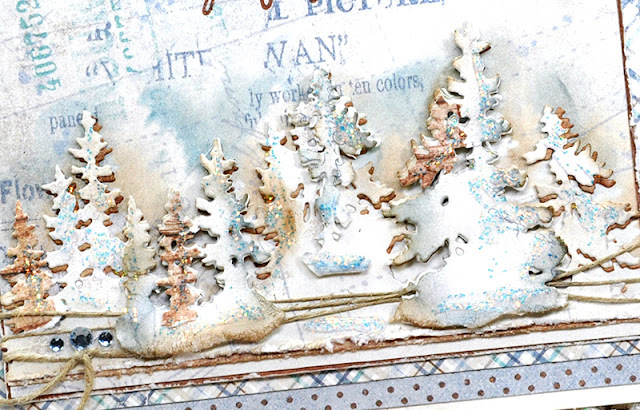 Start building the tree line layers on the card. May your new year be filled with health, joy and an abundance of creativity. 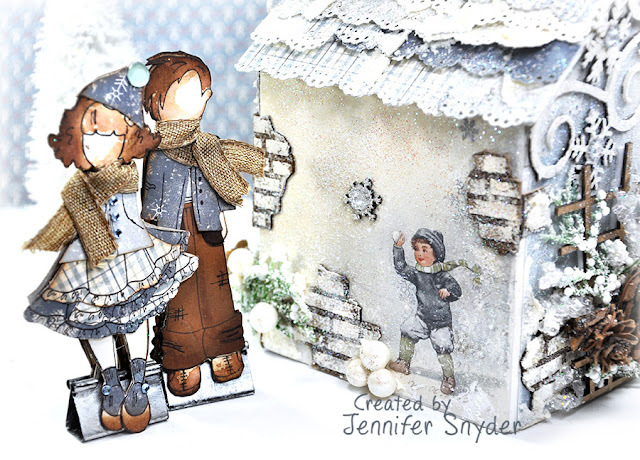 a joyous holiday/winter collection from Maja Design- "Joyous Winterdays". The sweet boy and girl are made using Prima Marketing and Julie Nutting doll stamps ( Toby and Little Girl). 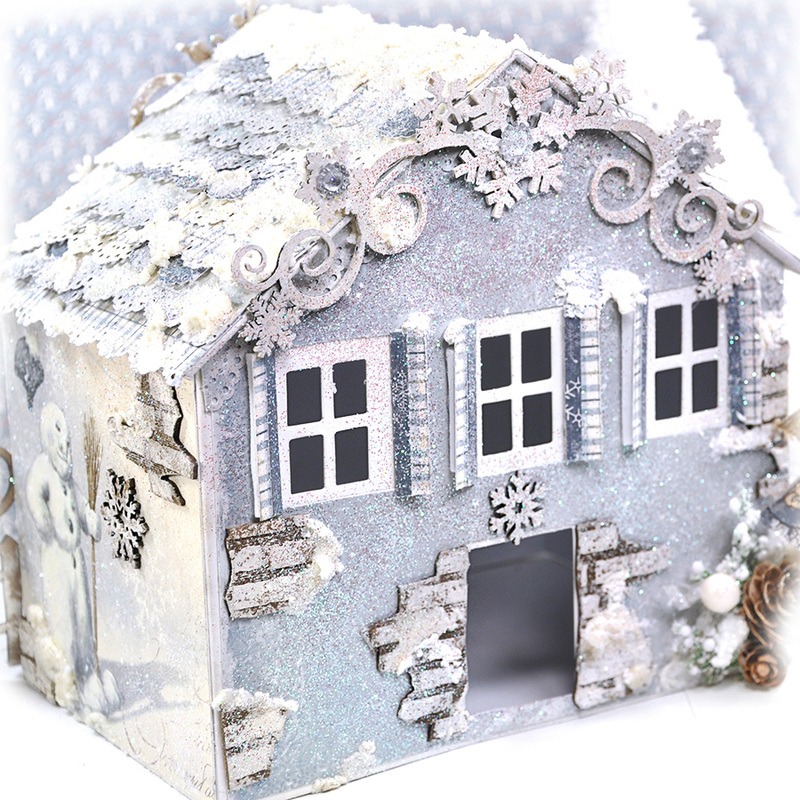 I wanted this house to look frosty and cold, I painted all my chipboard with white paint to start. I really didn't use any other techniques on the chipboard. 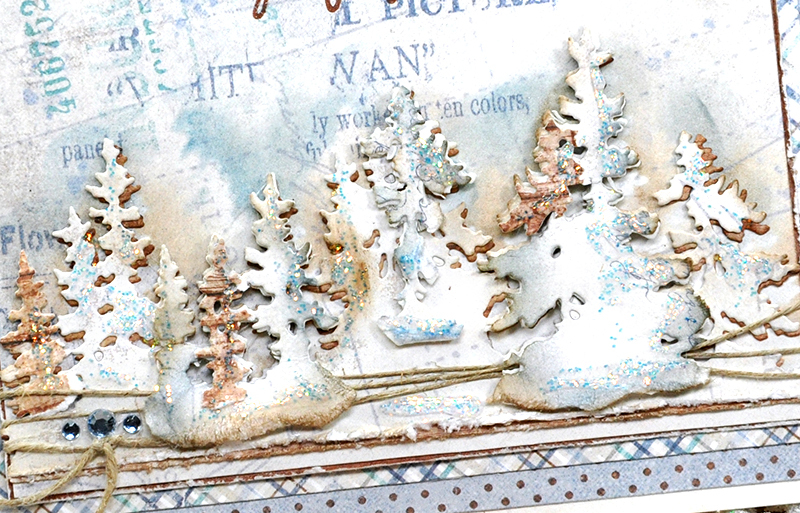 But I did add a thin layer of Prima's Snowflake Paste here and there to add a glittery snowy look. 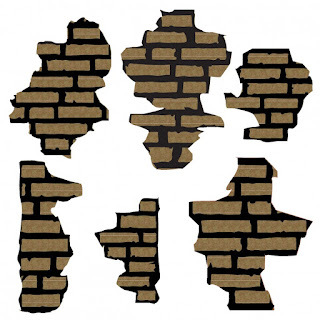 The surface of the bricks have been whitewashed (white paint thinned with a bit of water) and the"grout " untouched relying on the rich brown color of the natural chipboard to provide visual depth. I've taken various snowflakes from Creative Embellishments - Large Snowflake Set and placed them around this house and used the Creative Embellishments -Snowflake Page Corner Set as decorative molding on the peaks of the house. 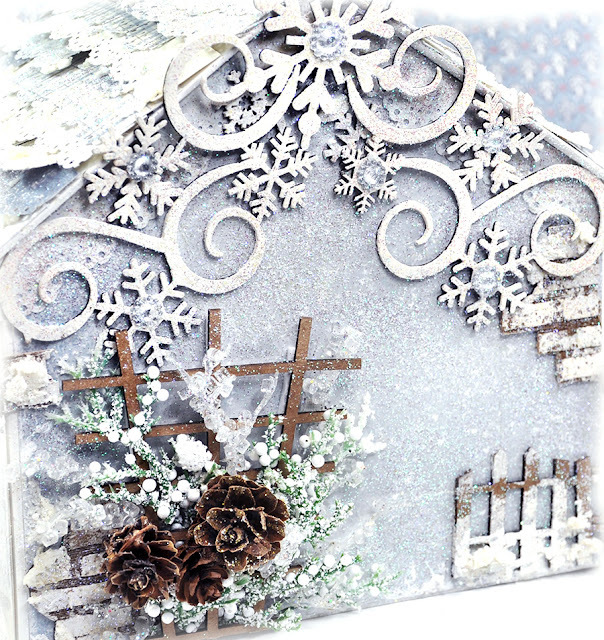 Transitioning to the back of the house, I created a frosty winter garden using Creative Embellishments - (Garden)Trellis 1 all gussied up with pinecones and miscellaneous winter floral picks. In order to make this piece a bit more durable, I suggest securing the pinecones and florals to the trellis with some thin wire. in half and glued the pieces together to strengthen them for extra durability. The following images show the details of the sides of the house. 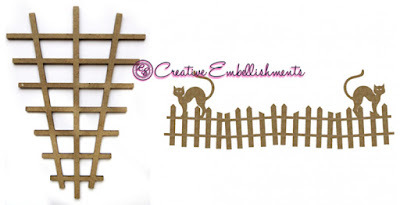 See how sweet that Cats on a Fence is with my house? 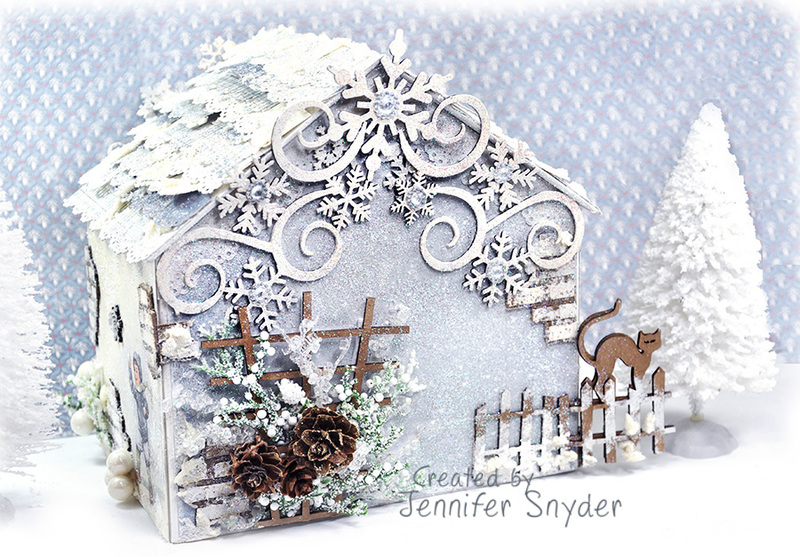 The next photos show how I used Prima's Snowflake Paste on the bricks below, the fence and also the roofing. A simple detail like wrapping the brickwork around the corner of the house makes a difference. How Did I Make the Dolls Stand? My little tip to make the dolls to stand up - I mounted them on binder clips that had been painted silver. You can see the clips down below. If you want to see how I used the binder clips as stands, you can find my tutorial on this blog post. I created a similar type project, so while not the exact same, you will have a good idea of the technique. 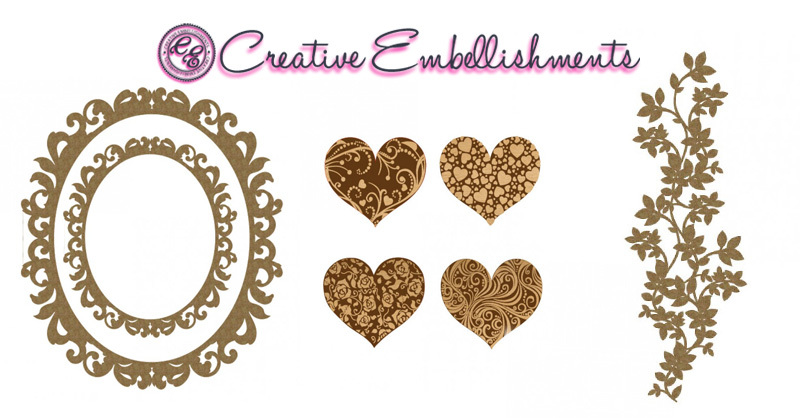 You can shop for Creative Embellishments Chipboard right here.